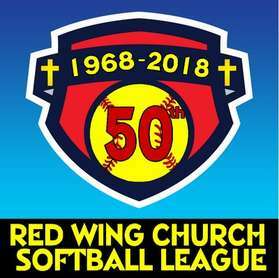 Starting in 1968, a group of Christian athletes got together to begin a Softball League for those who like to play softball and enjoy good sportsmanship. But not taking the game too seriously, The league as been going strong ever since. We take pride in NO games being completly cancelled during any season. Our regular season generally begins the first full week in May and ends in August with a double elimination All League Tournament. If you would like to play contact one of your church leaders to see if your church as a team. If not you can contact the League Commisioner and he can forward your name to a team that may need players. You must be 18 years old to play. On this website you can see the schedule and scores by going to Schedule or Events. To see whose on top ot the league go to Standings. For League Rules, contacts, a printable schedule and tounament schedule, go to Handouts. Josh Thygesen from Community Ed is our Commisioner. He can be contacted at 651.385.4568 or jtthygesen@rwps.org.